After three years of shipping the most smartphones on Planet Earth, Samsung Electronics has been dethroned – Apple is the new King of the Smartphones – and your pocket. The smartphone market had a record fourth quarter of 2014 according to a report by market research firm Gartner, with 367.5 million units shipped for a year over year increase of 29.9 per cent. On the year, some 1.2 billion units were shipped, a 28.4 per cent increase over 2013. More interesting, though, is the change atop the vendor leaderboard in Q4. After having led the global smartphone market since 2011, Samsung to second place in the quarter finishing just behind Apple. Apple shipped 74.8 million units in the quarter for 20.4 per cent of the market, followed by Samsung with 73 million units and 19.9 per cent share. Apple’s market share improved from 17.8 per cent in Q4 of 2013, while Samsung’s was down substantially year over year, from 29.5 per cent. It was Apple’s best ever quarter, driven by continued strong demand for its first large-screen phones in the U.S. and China. “With Apple dominating the premium phone market and the Chinese vendors increasingly offering quality hardware at lower prices, it is through a solid ecosystem of apps, content and services unique to Samsung devices that Samsung can secure more loyalty and longer-term differentiation at the high end of the market,” said Roberta Cozza, research director at Gartner, in a statement. Rounding out the top five for Q4 were Lenovo (includes Motorola handsets) at 6.6 per cent of the market, Huawei at 5.7 and Xiaomi at 5.1 per cent. All three were up slightly year over year. For calendar 2014, Samsung still led the way with 307.5 million units and 24.7 per cent of the market, down from 30.9 per cent in 2013. 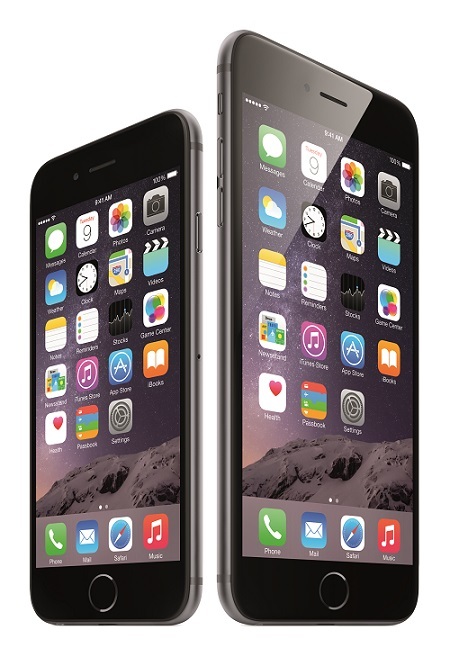 Apple shipped 191.4 million units for 15.4 per cent of the market, in line with its 15.5 per cent in 2013. Rounding out the top five were Lenovo, Huawei and LG Electronics.